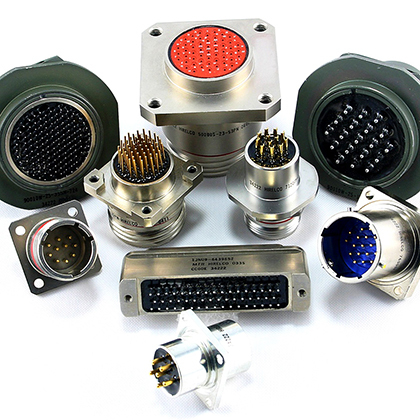 Products are designed to applicable military and customer specifications, or custom designed by HiRel Connectors, Inc. for your specific requirements. We are engineering-oriented to supply what you need, not catalog items you may have to design around. Design assistance is yours for the asking and can result in new concepts of space and weight savings. If you have a problem, HiRel Connectors, Inc. can provide a solution.HIRELCO manufactures connectors using plastic, elastomer, metal, and composite technology for MIL-SPEC applications. Since 1967 HIRELCO has been designing and manufacturing highly reliable, hermetically sealed connectors for interconnect applications. 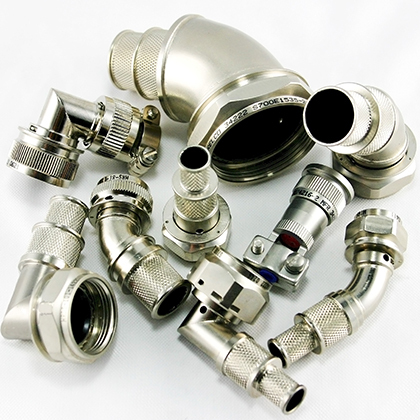 HIRELCO designs and manufactures connectors to exceed customer expectations, by utilizing a full in-house production facility to ensure products are produced at the highest quality. Our committed Design / Engineering team is ready to provide a quality solution for your interconnect application. 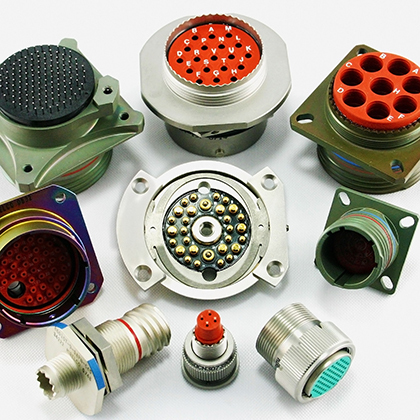 Our hermetically sealed connectors are used in military, commercial and space environments by customers around the world. HIRELCO’s environmental connector series is built to withstand the harshest applications in a vast variety of extreme conditions and surroundings . HIRELCO has incorporated its patented Self-Locking design into its plugs. This design will insure that the plug will not back off under extreme vibration. HIRELCO’s environmental series is the solution to your environmental interconnect problems. 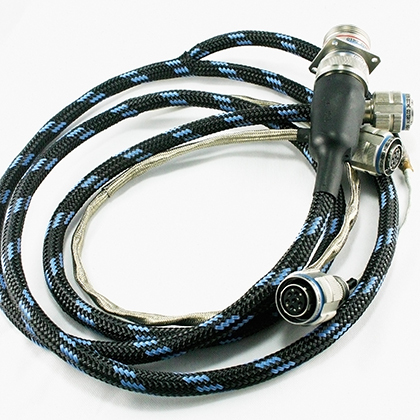 HIRELCO takes its quality and expertise to the next level by providing a complete cable / harness division. Utilizing HIRELCO’s connector and backshell knowledge, we provide the answer to all your interconnect needs. We are dedicated to creating the most reliable cables and harness assemblies available that are tested and proven to work under the most severe conditions. 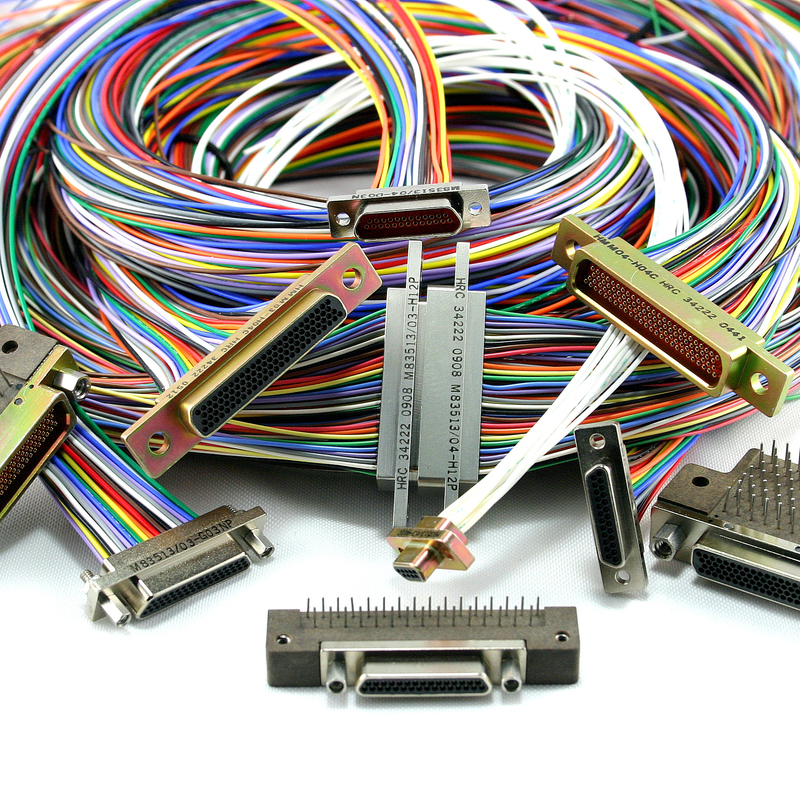 With our superb design capabilities coupled with manufacturing our connectors, HIRELCO can provide a better overall performance of our cable and harness assemblies. HiRel Connectors High Density “H2D” series product line is a smaller and lighter alternative to the standard MIL-SPEC D38999 connectors. Our H2D series contains HIRELCO’s patented self-locking plugs while providing the same High-Reliability of our larger connectors. When space and weight are critical to our customers applications, our H2D connectors provide the solution. HIRELCO is the industry leader in producing the most durable and trusted connectors with extraordinary performance in regards to vibration, shock and insert retention. Thus, HIRELCO has been chosen as the key supplier for the new NASA “Orion” Space Program. 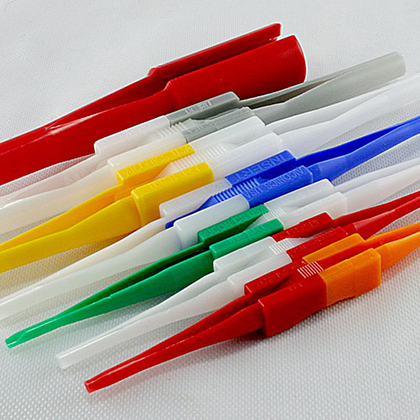 HIRELCO utilizes its vast connector knowledge and expertise and applies it to the Micro-miniature connector series. The HIRELCO Micro is an ideal candidate for applications with space and weight limitations. Typical applications range from military to commercial use. HIRELCO is qualified to the MIL-DTL-83513 and also offer custom modifications to these standard configurations to enhance performance in their specific applications. HIRELCO meets the challenge of providing interconnect systems that deliver clean data streams. 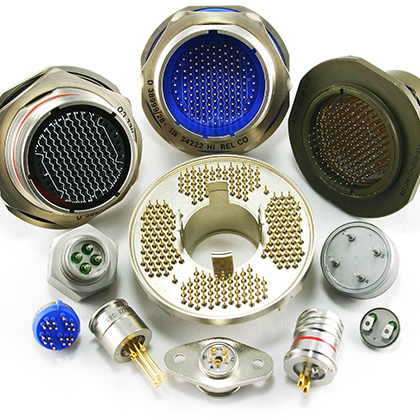 We offer Specialty/Custom Filtered connectors with integrated suppression and protection devices. Many applications require protection from electrical surges, reduction of radiated signals and / or the reduction of susceptibility from external interference. 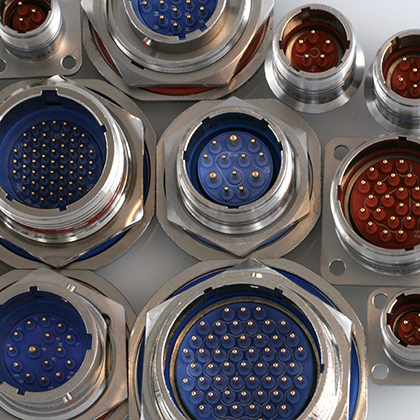 Filter connectors that are manufactured at HIRELCO include: Pi, “C”, “L” and MOV (Metal Oxide Varistor). 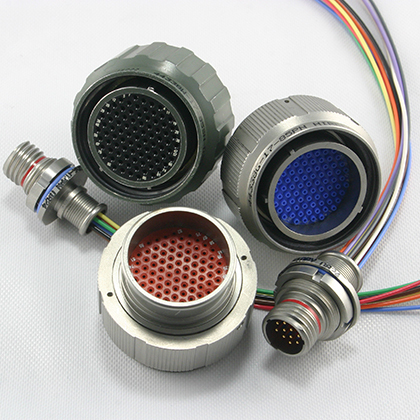 Products are designed to applicable military and customer specifications, or custom designed by HIREL Connectors, Inc. for your specific requirements. We are engineering-oriented to supply what you need, not catalog items you may have to design around. Design assistance is yours for the asking and can result in new concepts of space and weight savings. If you have a problem, HIREL Connectors, Inc. can provide a solution. Have Questions? Need a Custom Project? HiRel Connectors' foundation is built on the principle of providing the most reliable electrical connectors and cable assemblies in the world. We pride ourselves on being able to offer our customers peace of mind, knowing they are utilizing HIRELCO’s interconnect systems as a crucial part of their applications.